We set out trying to work out what the heavy rain which is falling across all eastern cropping zones over the coming days will do to prices. It’s not as simple as looking back at 2010-11 when harvest was delayed, as that was a bumper crop, and this is not. We’ll have a look anyway. 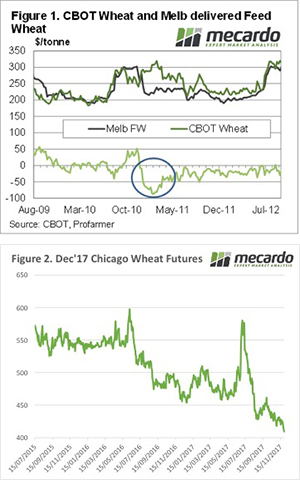 Figure 1 shows the impact of heavy December rain back in 2010 on feed wheat prices delivered Melbourne. Over the course of two weeks the price lost $70/t as shot and sprung wheat was harvested and overwhelmed feed users. Basis to CBOT moved to an all-time low of around -$70/t, as CBOT rallied due to the now tighter supply of Milling Wheat coming out of Australia. Due to the much tighter total supply of wheat, we don’t expect such a dramatic fall in feed prices this year. 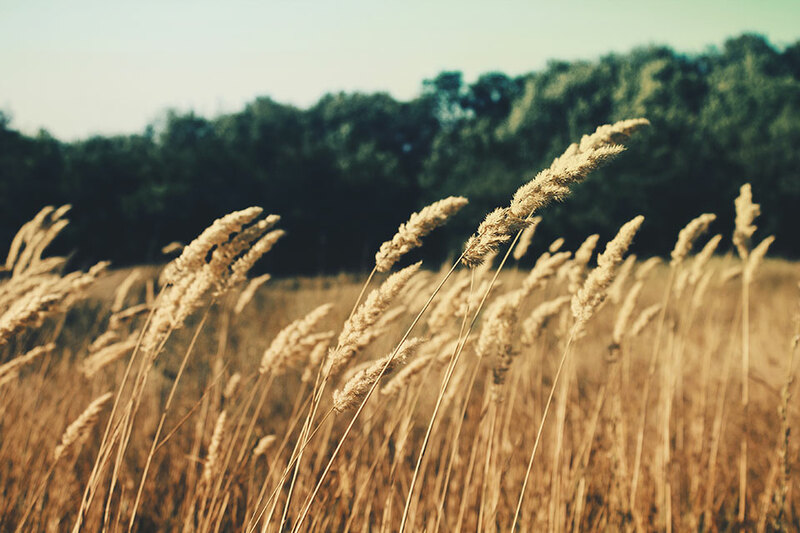 We could however see a spike in milling wheat prices, as already low supplies are exacerbated by downgrades. The market has already started to move. APW Geelong rallied $5/t today, up to a 7 week high of $265/t. In PortAdelaide APW gained a little ground, but remains at $250/t. SFW delivered Geelong hasn’t moved yet. In fact it was a little yesterday, at $228/t. In international markets price were down this week, Dec-17 CBOT hit a contract low 411¢/bu (figure 2). In AUD terms CBOT is at just $202/t, down around $8 for the week. Basis just keeps getting stronger. As we outlined in the Canola analysis earlier in the week, it looks like a hold at the moment. Sales of milling wheat, for those fortunate enough to have it in store already, can probably and wait to see how prices wash out after the rain. Feed grain prices are unlikely to find any strength from here, so if looking for cash flow, feed barley and wheat would be grains with the least upside, and most downside.